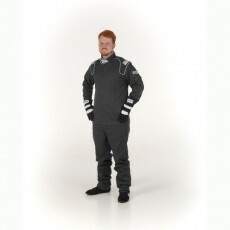 ~~ CLICK TO ENLARGE G-Force - GF125 2 Piece Driving Suits - Black G-FORCE Racing Gear is proud to introduce a new addition to the driver suit line in the GF-125 2-piece uniform. The GF-125 Single Layer, two piece s.. 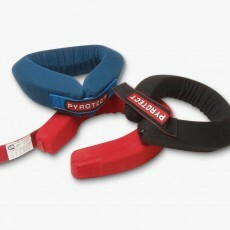 Tired of messing around with old junk lap belts in cars? 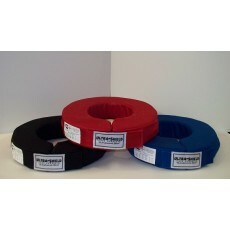 Have you had enough of tying knots in belts so they fit you? Here is the answer. 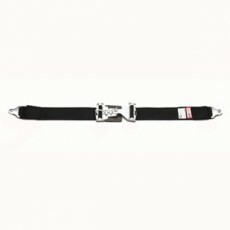 a 3 inch lap belt that will work perfect in your car. You can transfer this from car to car and put an end to all the hassles. 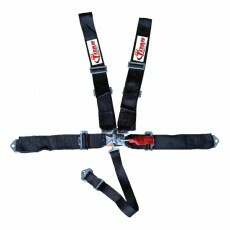 ..
~~Quality Nylon • Black Woven 3" Nylon Webbing • Latch & Link style • Hardware installed • Shoulder Belts can be mounted wrap around or bolt-in • SFI 16.1 Certified this is a 5 point 3 inch safety harness.. Keep yourself safe in those hard hitting derbies ..
ultra shield helmet support (neck brace) are great for taking some of the stress of your neck and collarbone from those hard hits. Available in black, red, and blue. Available in adult and junior sizes sfi 3.3 rated ..
Collars that are contoured for your specific application, designed to fit the base of your helmet and allows greater air circulation around the neck. Manufactured using high density (HD) fire retardant foam with removable covers that make them easy to remove and clean. 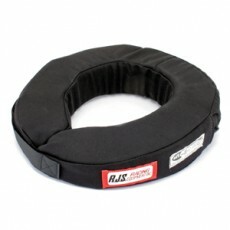 available in black only ..
RJS helmet support (neck donut) take the stress off your neck with this rjs neck donut. comes in black only ..
ultra shield single layer driving suit jacket size xl black in color This is just for the jacket only!!!! ..